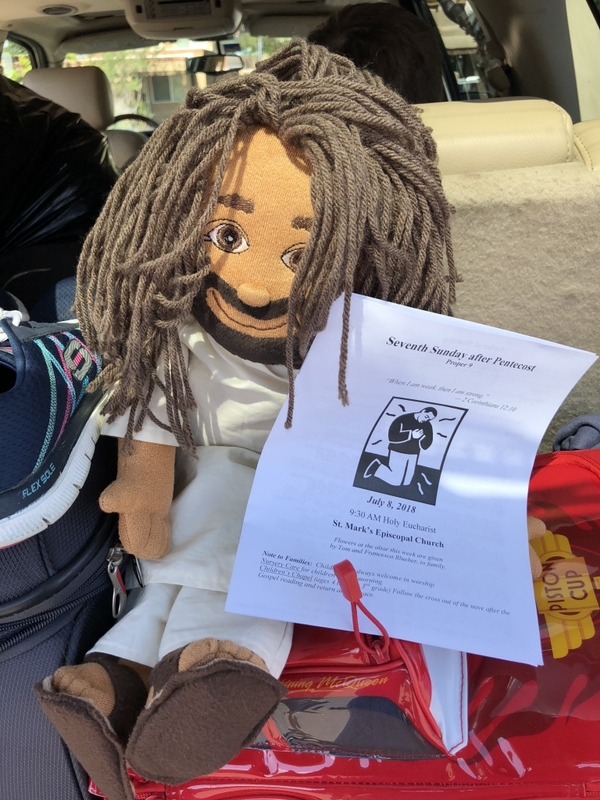 As a playful symbol of the way Jesus goes with us everywhere we go, you’re invited to take a ragdoll Jesus home with you for a week. During your week together, bring him everywhere and remember to take pictures of all the adventures you get into together. Along the way, tag them on your social media outlets with #jesustakethewheel and #jesusatthefig. We will also ask you to write something up about your time together, which we can share on the church’s Facebook page and through Illumine. 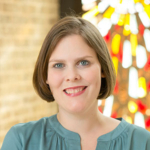 Use the sign-up sheet at the Ministry Fair table to schedule your week with Jesus, or use this online calendar here to sign up. The Mazur family had a full summer this year, including road trips, beach trips, and pool days spent with family and friends. 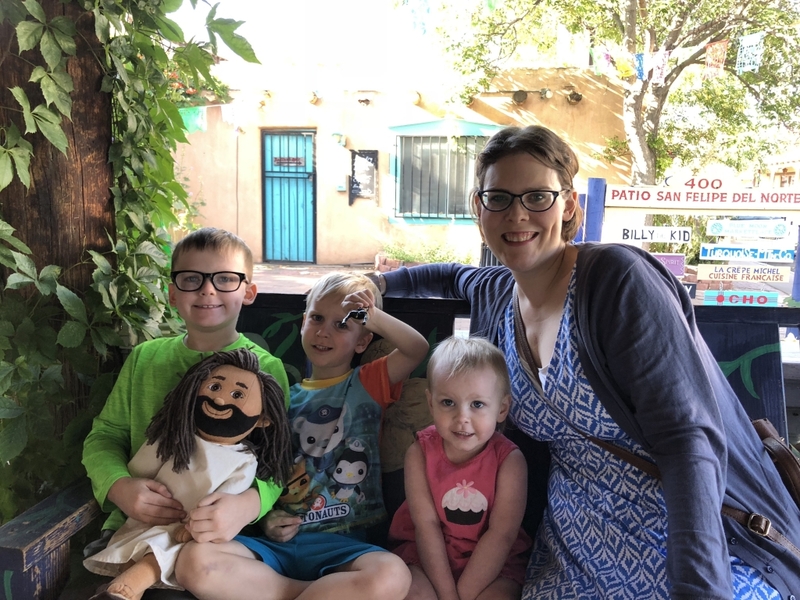 Most of our family vacation pictures are pretty typical – one kid smiling, one not looking at the camera, and one either being downright goofy, or just resentful of being made to stand still long enough to take a picture. But this year, you may notice an extra family member photo-bombing the scene! 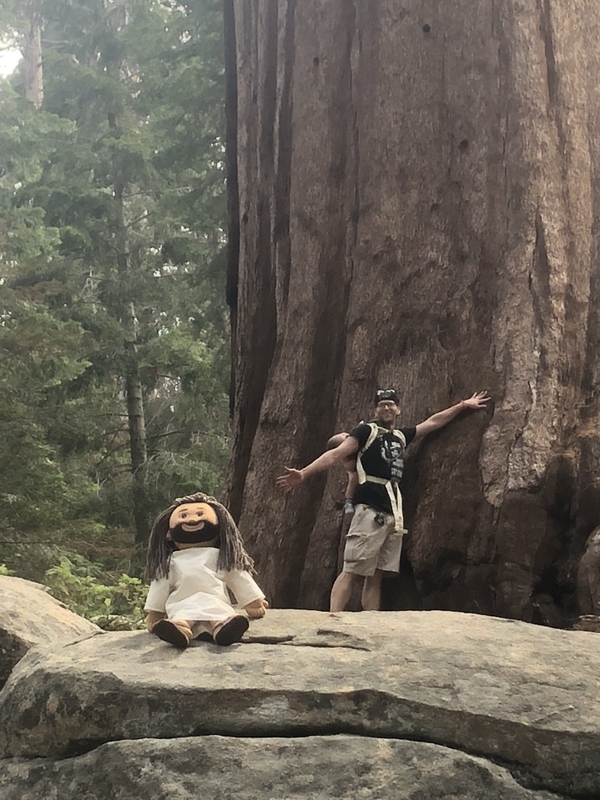 Yes, a friendly little Jesus doll came along with us to the Grand Canyon, the Sequoia National Forest, and seemingly endless motel rooms along the way. You may be wondering why we’d bring this little guy along, especially with our car already packed to capacity with all of the things we needed to take 5 people halfway around the country. 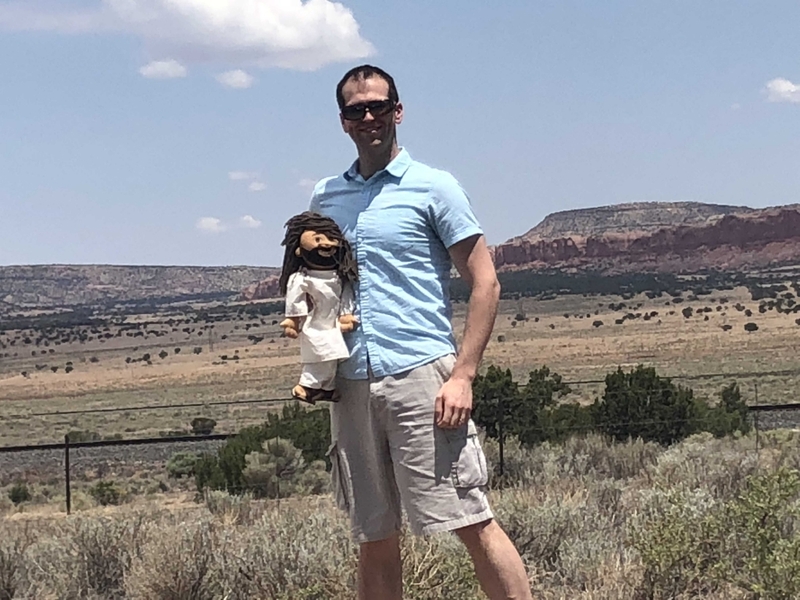 Well, my son James summed it up pretty well when I asked him why he thought we were Jesus on the road, saying he thought it was to remind us that no matter where we go, God is with us. That’s a Godly Play kid for you! Aside from this brilliant theological conjecture by my 7 year-old, another reason quickly became evident the more we brought Jesus out during our adventures. Other people were very curious about him. There were stares, questions, and offers to take pictures. I can’t think of a lower-stakes way to get kids (and adults, let’s be honest) to evangelize than having something visible that makes others question you about your faith. One woman asked where she could buy her own so that she could tell the world about her love for Jesus! 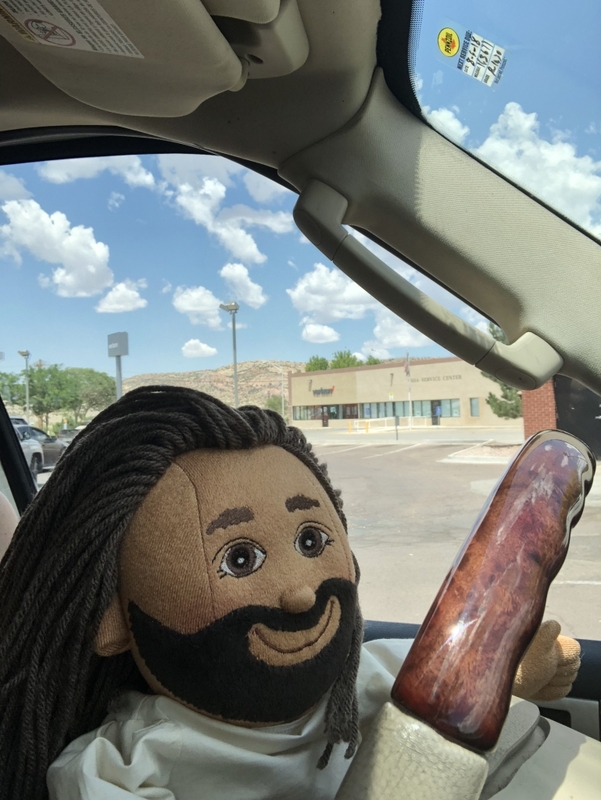 You too can bring Jesus with you as you go about your day, whether it’s to Earth’s remotest ends, or maybe just to Applebee’s. This is for people of all ages, not just those with kids, since we all sometimes need a reminder to keep Christ in our lives even when we’re not at church. 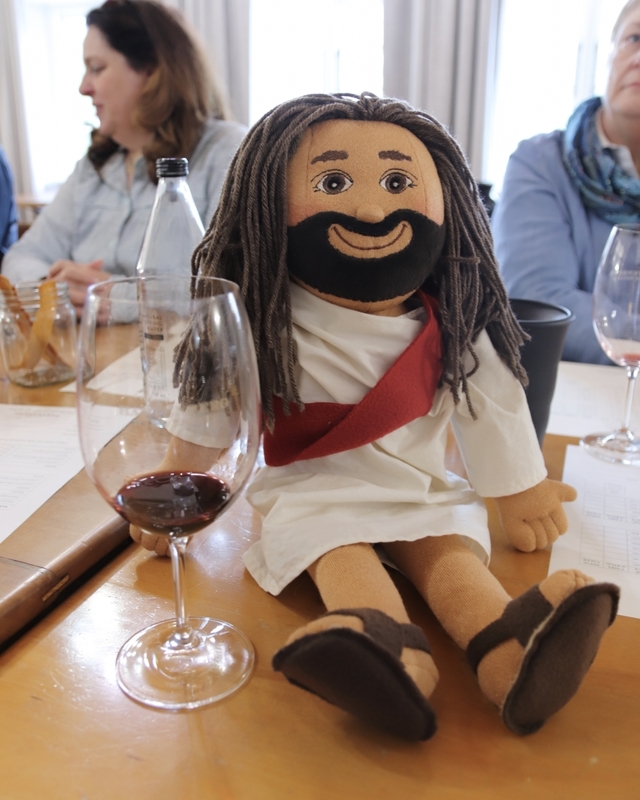 Sign up for a time to check Jesus out at Ministry Fair this weekend, then post some pictures with him. It’s so easy, and I guarantee you’ll have fun with him!